Do you feel a little nauseous when the recruiter asks you what you want to be paid? 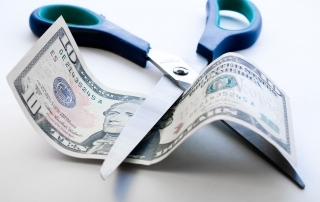 Do you fumble when you get down to the end of the job interview process when it's time to negotiate your salary? 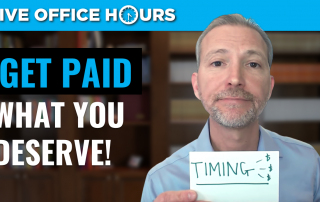 Join career expert and award-winning author Andrew LaCivita as he discusses why you don't get paid what you deserve and how to change that! I'm super excited about this episode because we're going to talk about negotiating your salary. And, who doesn't love negotiating their salary? I don't know if I've ever met one person who loves this part of the job interview (or internal promotion) process. It's confusing. You don't do it very often. You're probably not any good at it. Don't sweat it! I have an approach that works! I thought it’d be fun to share a few non-compensation factors I consider more beneficial over the course of an entire career. Even if compensation were extremely important to you, I’m suggesting these 9 career opportunities would be worth a pay cut because the return on their investment should be far greater than short-term cash. Military veterans transitioning to the civilian workforce face challenges most of us don't. 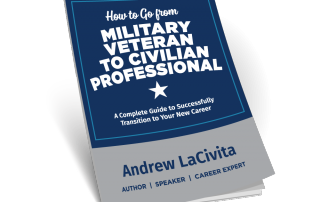 To help them, I've created this complimentary guide titled How to Go from Military Veteran to Civilian Professional! It's truly a complete job-search guide for anyone, but especially helps veterans overcome the two major obstacles they face when becoming civilian professionals. 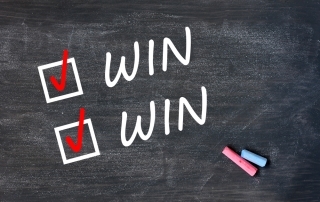 When negotiating your job offer, there is a single factor that supersedes the rest that includes these six most important words. It actually makes no difference what you’re negotiating. 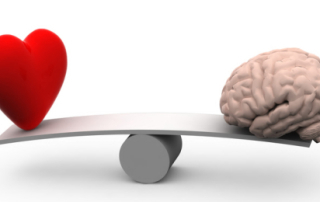 That factor remains the same assuming you want whatever’s being negotiated to actually benefit both parties. Anything that doesn’t benefit both parties isn’t even worth negotiating. 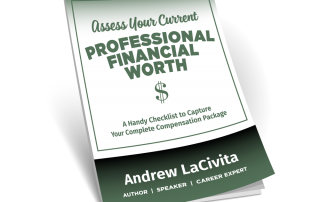 One of the most critical aspects in evaluating your current professional financial worth is to fully understand your compensation package. This goes well beyond the often easily understood salary or hourly wage and the sometimes not-so-easily understood bonus program. 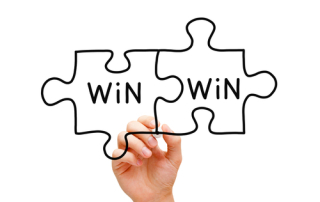 Enjoy this free download to help you gather your complete compensation picture!